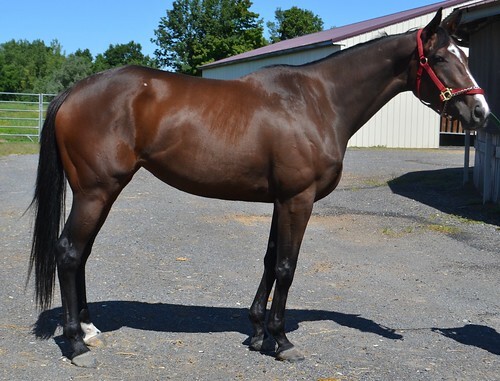 This big, still growing beauty is an exciting sport horse prospect, with her very pretty appearance, good bone, balanced conformation, and big movement with good push from behind and reach from her shoulders. 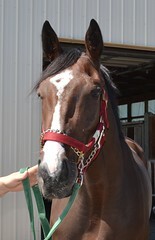 Lightly raced, with only 6 starts, Card Doll has shown no racing ability, but racing’s loss is your gain! The assistant trainer, who is also her exercise rider, says that Card Doll is a sweetheart who is very nice to ride and work with, and that she has no vices. Her legs are very clean, and she is described as sound. The assistant trainer says she was a bit body sore from training and racing on her still growing frame, but after a couple of weeks since her last race, with some round pen turnout on a farm near the track, she is already much better. 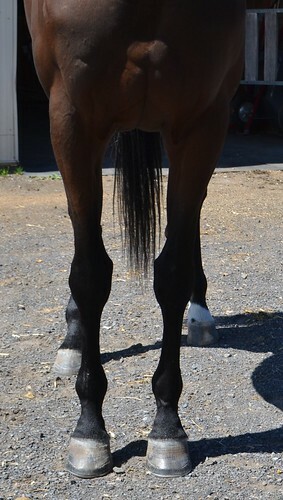 With a little time off to be a horse, do some more growing, and enjoy turnout (and perhaps the post track chiropractic adjustment that all OTTBs can benefit from), Card Doll will be just fine for any discipline with no limitations. For her jog video, she showed big movement with nice reach from her shoulders. 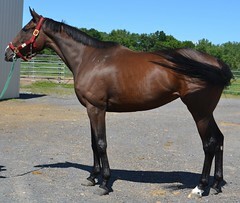 She is by Tizway (a son of Tiznow, out of a mare from the Danzig line) out of Shuffle the Deck, by High Yield. 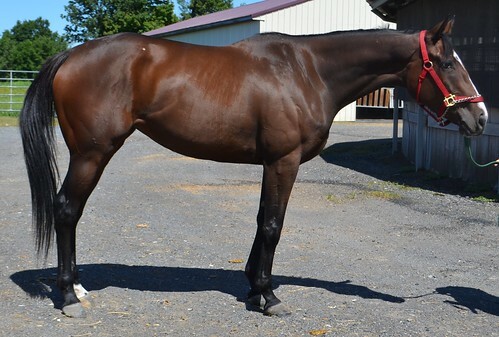 Her second dam, Darby Shuffle, from the Roberto sire line, is a graded stakes winner who has several stakes producing daughters. So Card Doll’s pedigree makes her an attractive prospect for sport disciplines, or for breeding.